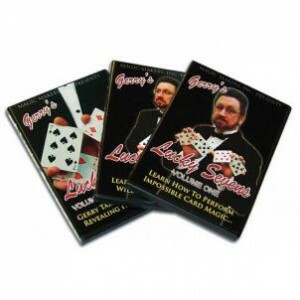 Gerry's Lucky 7's "The Ultimate Tricks With 4 Cards"
Lucky Sevens with Gerry Griffin (Volumes 1-3) (a 3 DVD set). It doesn’t get any more visual than this. Some card tricks fool your mind, Gerry’s Lucky Sevens is so amazing it will fool your eyes as well.